We typically associate estate sales with the passing of loved ones. Or the unfortunate situations where there is no family to inherit an estate. But did you know you can auction off much of your own estate now? It is a growing trend and it is not always triggered by the death of an estate owner. Because the population in the U.S. is quickly aging, with about 10,000 Americans turning 65 each day, there are greater numbers of choosing to downsize their lifestyle. This is in addition to increased numbers that are simply passing away as the bulk of our population ages. 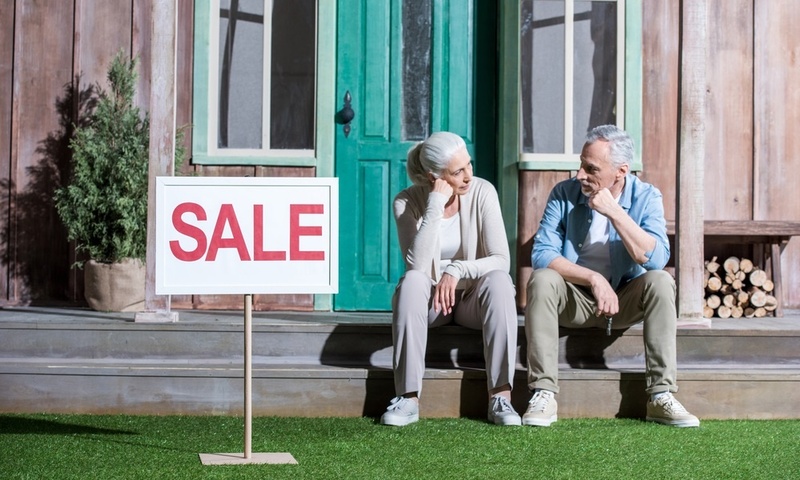 Regardless of the reasons, estate sales are on the rise and people find that they need help and guidance when navigating an often unfamiliar task. The property, or estate, liquidation business is primarily driven by four unfortunate life events, which are are the death of a parent or other family member, downsizing due to major lifestyle changes, divorce, and crippling debt. As a result, there are many people who need help cleaning out their own or someone else's property. Many times this can be couples who have decided to liquidate their assets as part of a divorce settlement. Sometimes it may simply be an individual or couple moving to take on a new job or career. All of these events can require professional estate cleanout services. This is because, regardless of the reasons for the estate sale, the task of clearing out furniture, large appliances, household goods and other assorted items can be especially challenging. And the longer a couple or family has lived in a home, the greater the volume of household goods and belongings that tend to accumulate. In fact, the average length of home occupancy is almost nine years in the United States. And, when you consider that the average home is about 2,500 square feet, you can understand why most of that space is typically full of household belongings of one type or another. An Estate Sale, also called a Tag Sale in some parts of the country, is a method of liquidating the belongings of a family or estate. They are usually conducted by professional firms as they far more extensive and structure than a typical garage or yard sale. Usually the public is invited into the home and given the opportunity to purchase any item that have been marked and priced for sale. Not everything is always included as there are sometimes items not for sale because the family has decided to keep them or new owners of the house have made them part of a contract to buy the house. An estate auction, on the other hand, is where everything is auctioned instead of being marked with a selling price. Interview at least three companies. Review as many companies in your area that you can identify. Call as many as possible for information about the services they offer. Find out what they charge. Don't choose a company simply based on the percentage charged. A lower percentage does not necessarily mean you will make more money on the sale. A reputable and experienced company will know if you have a collection worth a good amount of money. In those instances, they could possibly make you more money even while charging a higher percentage. Have them come to you to interview. Once you have narrowed your choices down to three or four companies have them to come and meet with you. If they are knowledgeable, they will want to see what you want liquidated. Don’t throw anything away - yet. Every reputable company will tell you this. Many times, that "pile of junk" or "that trash" might be worth more money than you realize. Just wait until after your sale and don't throw anything away until you have an expert look at it. Remove anything you want to keep before you interview prospects. Remember that they will make a bid based on what you represent will be for sale. If something has been removed once they have started working on the sale they will likely charge a commission. If you intend to take items let the companies know this at the start and have it in the contract. Ask for references. Ask the company for letters of reference and contact information for recent clients. Contact those clients and find out what they liked and what they didn't like. If you are not able to acquire legitimate references then the company is probably not a good choice. Do your homework. Make sure you are comfortable with a company before signing a contract. Check online reviews and your local better business bureau to be sure the company passes muster. If possible, attend a sale managed by the company. The best way to get a feel for a company is to go to a sale and experience it for yourself. Don't let them know who you are. Look and see how it is set up. Interact with their staff at the checkout. Take notes and maybe even buy something! Be aware of any taxes. Every state and county has different requirements for estate sales. Find out whether sales tax is supposed to be charged and, if so, ask each company whether they take of that. Always get a contract. A contract is extremely important and no reputable firm will do business with you without one. The contract should specify when the sale will be held, how much the company is charging, and when you will get paid. Do not hire a company without a contract. You should receive a copy of the contract after signing it. What Happens in an Estate Sale? Estate sales are conducted in several ways. Typically, items are marked with a selling price, and buyers usually pick up items and carry them until they are ready to check out. If an item is too large to carry, it can usually be marked as “Sold.” In addition, some companies accept bids for items. As far as actually entering the sale, most companies use a “First Come, First Served” approach policy. Typically, a line will form at the door of the home where the sale is taking place. Depending on the location, the line may start several hours before the sale opens. This is the most common system used. Some companies use a Number System, and they usually have some sort of policy concerning this, so be sure to check with the individual companies for their rules. There are also companies that use the Self Start Number System. This type of system is vulnerable to many abuses, and companies that use this system usually do have a strict policy on how they are handled. Sign-up sheets are also used and are similar to self-start numbering. Again, there is a chance of abuse here too. Some companies allow everyone in line to enter the sale, while others only give limited access. This is a process that can be both stressful and complicated. For that reason, many people choose to hire an estate sale service. However, there is no reason you cannot manage your own estate sale. Identify items that may be valuable. Do some research to discover what those items may sell for and where you can sell them. This could include online research, visiting antique stores and calling auction houses and vintage stores. Bring in a professional if you need help. If you can't value items yourself, hire an expert. An appraiser can give you a realistic view of what items might sell for and which items are worth your time to market. Make sure family members get a chance to take mementos. This could involve drawing lots, a family meeting or inviting family and friends to take items from those you don't plan to sell. Determining which items should be should be sold will vary according to the preferences and needs of the family. A simple discussion among family members often helps make this decision. Decide whether a yard sale is worth the work. People who go to yard sales expect to get rock-bottom prices. If you have enough good items, you may recoup several hundred or even several thousand dollars. But if you don't have much to sell, you might be better off donating and taking a tax deduction. Research before hiring a company to conduct the sale. Get referrals from trusted professionals, check credentials and make sure you outline everything in a written contract, including what percentage the company will take and how much prices on the items will be lowered from what has been originally discussed. Understand that this option, while the quickest, is likely to yield you the smallest amount of money. 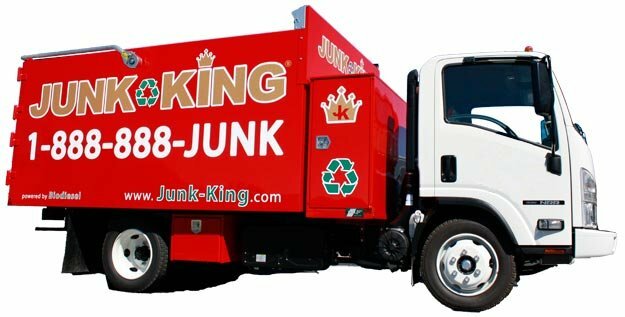 Fortunately, you can find a junk removal service like Junk King to handle the unwanted items. You will want a company that will be punctual, patient, and respectful while treating you with care. This is what we do. Whenever possible, we will donate as many items as we help families transport items that belong to departed family members. With years of experience in helping our customers with estate cleanouts, we understand that when a loved one passes away you don’t need to worry about cleaning up their apartment or house. Whether you are handling an estate sale, are downsizing, or dealing with the daunting and formidable task of clearing a deceased relatives home, place of business or any other property left behind, we can help you through. Our estate cleanout services are used by landlords, attorneys, banks and homeowners who need to dispose of unneeded and unwanted items, junk and clutter that might prevent or slow down the process of handing over an estate. Our team specializes in large debris removal and furniture hauling. We can be on location in mere minutes, so call us today! Our crew is fully insured and well-trained, so you can trust them to get rid of your unwanted items in a professional and courteous fashion.